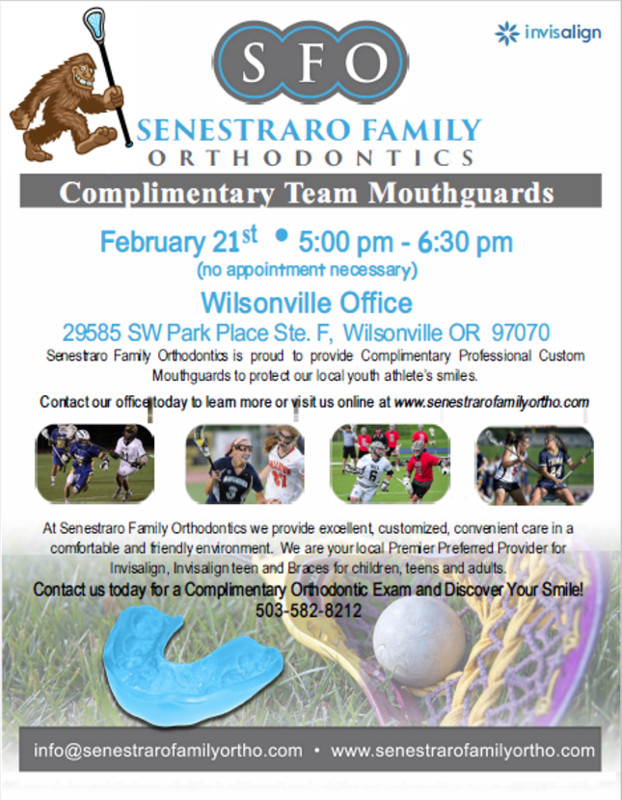 Senestraro Family Ortho has graciously sponsored another year for our mouth guard fitting! Click here for more details or to contact Senestraro Family Orthodontics. External links are provided for reference purposes. Wilsonville Youth Lacrosse is not responsible for the content of external Internet sites. Copyright 2007 - 2019 by Wilsonville Lacrosse.